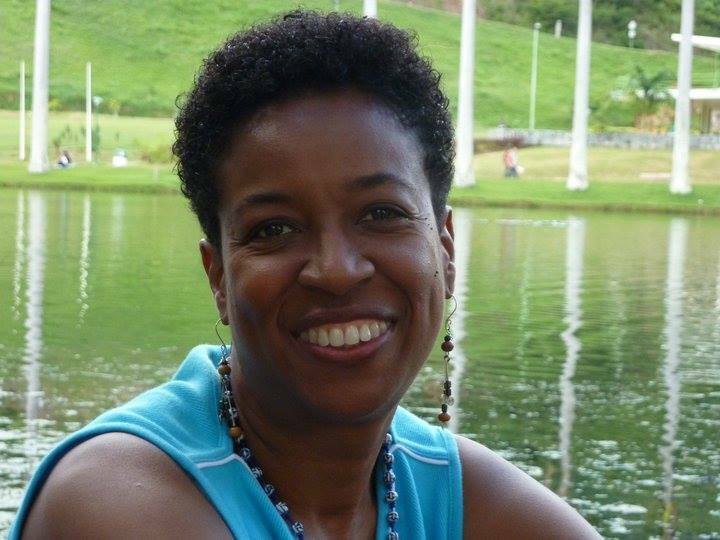 I am a historian of the African Diaspora in Colonial Latin America and the Caribbean. My research looks into the subjectivity and intellectual creativity of enslaved and free women of African descent who lived in Caracas-Venezuela, during the eighteenth century. It also explores the ways in which these subjects conceptualized ideas of rights, freedom(s), and membership in their communities. My teaching explores the processes aimed to commodify Africans and their descendants, the strategies these social actors developed to keep a sense of autonomy, dignity, and honor. I also help students make connections with current struggles and power dynamics. I am a Venezuelan of Haitian descent, however, by now I am also a person shaped by larger worlds: I lived years in the Northeast of the United States and, before that, I spent two years in Socialist Eastern Europe and West Africa respectively. My first profession and interest, conservation biology/behavioral ecology, brought me to the U.S. and took me to Cameroon, where I came across the roots of several Venezuelan and Latin American cultural elements. I began to question silenced African contributions to the hemisphere and the world. In Philadelphia, I created the Annual Arturo Schomburg Symposium (going to its 23rd consecutive year), at Taller Puertorriqueño, Inc.http://tallerpr.org/ This event brings together scholars, professionals, activists, and artists who gather the last Saturday of February to share, with a wide audience, their expertise about the African presence in Latina/o and Latin American history and cultures. This experience took me to transnational Afro-Latin American activism. I fell in love with the discipline of history when I realized that the answers to my inquiries resided in the past. The persistence of inherent and systemic, overt and more specifically hidden forms of violence. The intersectionality of “Honor,” Race, Gender, and Class. My current research focuses on political consciousness among Africans and their descendants during the colonial period. I document ways through which their strategies positioned them as contributors to the political debates in the Province of Caracas, throughout the colonial period and more specifically during the second half of the eighteenth century. I am currently working on various articles and a book manuscript about “Black Honor and Intellectual Marronage.” This project examines the ways in which Afro-descendants negotiations through the establishment and beyond positioned them as agents of social change and not followers of literate men from the elite. In Press. Author/Essayist, “Esclavizadas, cimarronaje y la Ley en Venezuela, 1760-1809” in Demando Mi Libertad; Relatos de mujeres Negras y sus estrategias de resistencia en Nueva Granada, Venezuela y Cuba. Sponsored by the Eight Cycle of FORD/LASA Special Projects. Universidad Icesi, Cali-Colombia. Nov. 2015. Book Review, Ann Twinam, “Purchasing Whiteness: Pardos, Mulattos, and the Quest for Social Mobility in the Spanish Indies.” Stanford, CA: Stanford University Press. 2015. E.I.A.L (Estudios Interdisciplinarios de América Latina y el Caribe) Instituto Sverdlin de Historia y Cultura de América Latina, Tel Aviv University. 2014. Author/Essayist, “Debates públicos de la afrodescendencia hacia el fin de la colonia.” In Memorias 1er Foro Internacional de Afrodesendencia y Descolonización de la Memoria. Homenaje a Juan José Rondón. (August 2012). Caracas: Ministerio del Poder Popular para la Cultura – Fundación Centro Nacional de Historia – Archivo General de la Nación. Caracas, Venezuela. 2010. Author/Essayist, “Invoking Arturo Schomburg’s Legacy in Philadelphia,” in The Afro-Latin@ Reader, History and Culture in the United States. Eds. Miriam Jimenez-Román and Juan Flores. Duke University Press. Durham, NC. 2011. Author/Essayist, “A Life’s Spiral: Journeys of an Afro-Latina Activist,” in Women Warriors of the Afro-Latina Diaspora. Eds. Marta Moreno Vega, Marinives Alba, Yvette Modestin. Arte Público Press, Houston, TX. 2012 NYU Warren Dean Fellowship for Dissertation Work in Latin American Studies. I am very curious and artistically inclined. In the past, I have work with clay (stoneware and terracotta), explored jewelry making through wire bending and welding, and exhibited and sold photographs.